IMPROVE YOUR HEALTH AND YOUR APPEARANCE NOW! A sturdy exercise ball for workouts wherever you are. Bounce better health into action. 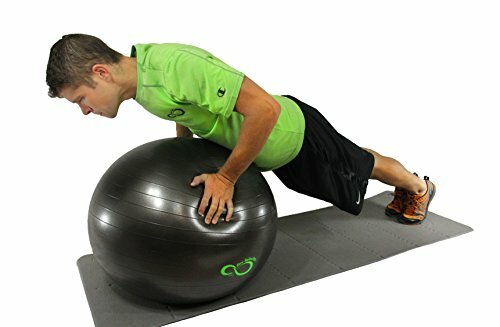 The Live Infinitely Exercise ball provides endless workout opportunities for the home or office, staying in shape has never been more achievable. Can provide and be used during hundreds of low impact exercises. With a quality design, the professional grade PVC material is anti-burst tested, strong and durable, with the ability to support over 2200 lbs., meaning it will be the strongest exercise ball you ever own aiding you in your Pilates or yoga practice. Five size ranges from 45cm – 85cm. Professionally tested and approved by gyms in the United States, trusted by hundreds of gym owners and their members nationwide. Improve flexibility, strengthen core muscles, fix postural issues, enhance balance and coordination, and regain energy at home or in the office with this exercise ball. Not for use as a desk chair, may induce slouching! Online training workouts to help you reach your goal of a healthier you! 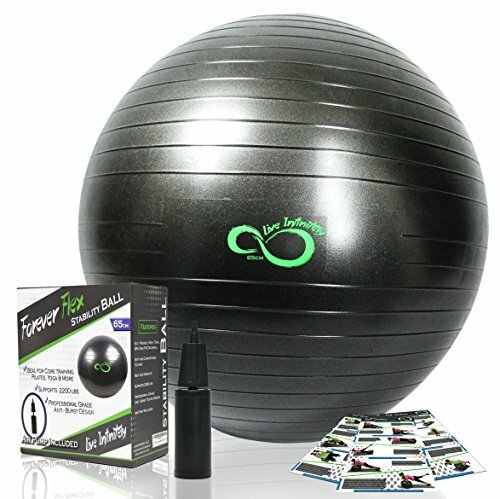 Improve your health with this fitness ball now!